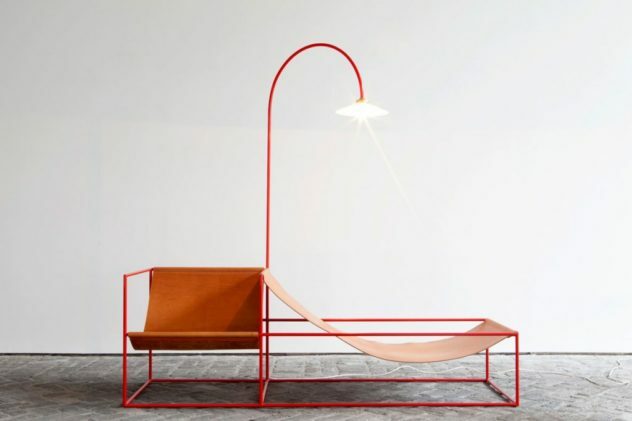 The Duo Seat + Lamp by designer duo Muller Van Severen is a double lounge seat inspired by minimal art pieces, which nevertheless offers maximal function. 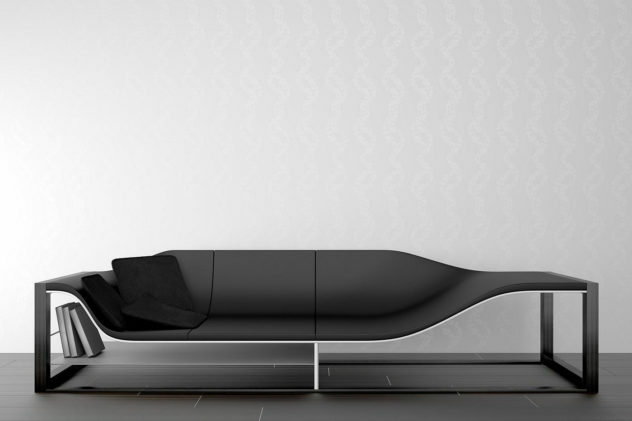 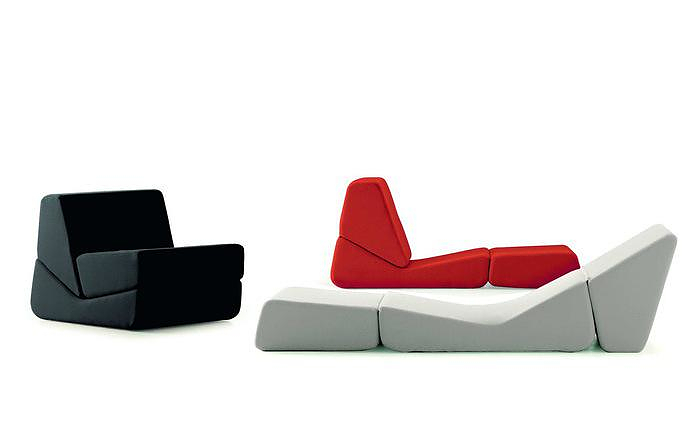 The multifunctional Bucefalo Sofa is an impressive and dauntingly dark piece of furniture by Italian designer Emanuele Canova. 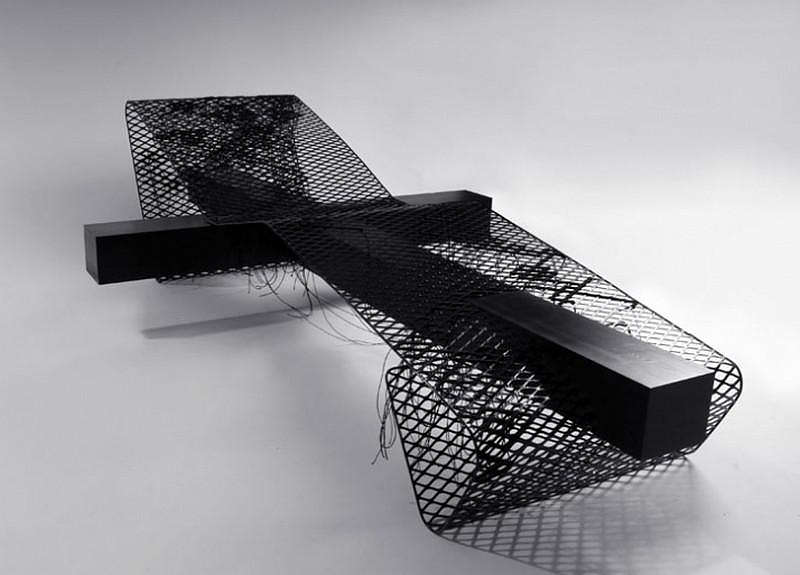 Celebrating The Cross is a unique lounger / artwork based on the archetypal shape of the cross created by design duo Humans since 1982.